Measurements: just over 5/16" wide at the sapphire tapering to just over 1/16" wide at the back. 1/4" profile. From the beautiful radiant cut yellow sapphire at the center of this ring to the unique styling and filigree detail in the setting to the fine diamonds, they all come together to create a truly stunning design. 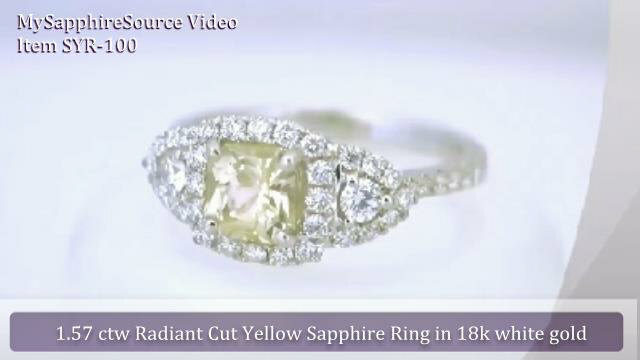 This ring could easily be mistaken for a yellow diamond ring! 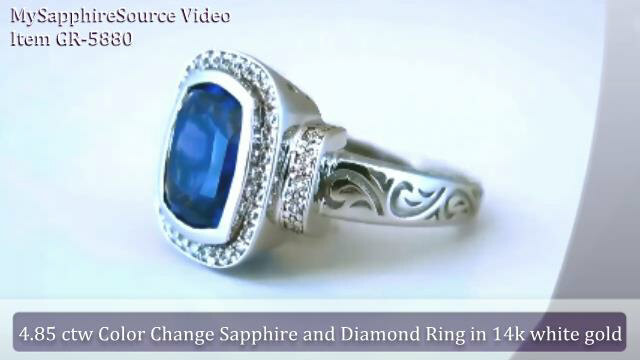 The sapphire is very well cut and clean and this makes for a very lively and sparkly stone. We just love the setting which takes the past present future design to another level by surrounding the larger outer diamonds with smaller diamonds. And notice the gorgeous filigree detail on the gallery. From every angle, this ring shows its craftsmanship and is truly a feast for the eyes!